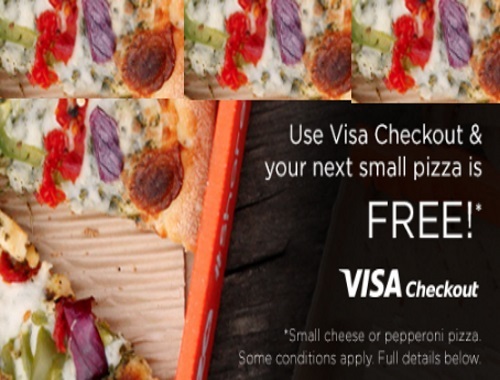 Pizza Pizza has teamed up with Visa Checkout again! Get a Free Small pizza when you use Visa Checkout as your method of payment for your order over $9.99. You will get a voucher for a Free Small cheese or pepperoni pizza on your next order! The voucher will be emailed to you after you place your order and can only be redeemed on your next order. This offer is valid now through June 11, 2017. Voucher must be redeemed by June 20, 2017.